"Thank you, Ellen, for the work that you do and for sharing your knowledge with others. I have learned so much just from reading the 'Rules' about what I need to do in my life." A. R.
Get the Answers to Life's Toughest Questions! ** Take the Website Home! You CAN Understand Your Life! Let the Timeless Wisdom of Ancient Masters Be Yours TODAY! 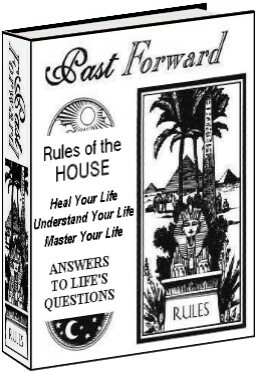 These time tested "Rules of the House" are an Owner's Manual for Your Life to help you on your journey through the universe! How Can the "Rules of the House" Help You to Be Healthy, Wealthy, and Happy? "Rules of the House: Answers to Life's Questions" is a treasure trove of channeled information about how the universe works presented as "rules" that are simple and easy to understand. If you are tired of "your karma running over your dogma" and want to stop reaping "bad" karma and to start living "good" karma, then this is everything you need to know to be the master of karma... instead of its slave. "I love your Rule #1 and if every student in the world was given a copy of it when they started high school/college I believe there would be more love and understanding among the human race. That is that we are here to help one another to evolve. Keep up the great work!" C. P.
Here are the "Rules of the House"
to Help You HEAL Your Life! and	heal your life... here's how! * 12 Sacred Rights: "We Hold These Truths to be Self Evident"
* Learning to Love the Self: "The Greatest Love of All"
* Learning to Love Others: "For Love & Love Alone"
* Becoming a CoWorker With God: "Why We Are Here"
"I bought the 'Rules of the House' eBook and signed the Guest Book as soon as I realized there was one. So far, many times, the book seems to be written just for me, it's so on target. I'm using it like a workbook! Thanks!" B. G.
to Help You UNDERSTAND Your Life! it more closely... here's how! "Hey Ellen! I've been perusing 'The Rules of the House' and would like to commend you on the work you've done. Good stuff. I can no longer use that old statement - 'You only live once' - in good conscience. Thanks for helping me to see the light." B. B.
to Help You MASTER Your Life! You CAN Master Your Life! "master of your domain"... here's how! * Are You Really Someone Else? How to Know if You are a "Walk-In"
* The Soul's Journey: Inside "The Dark Night of Soul"
* Numbers as Building Blocks of the Universe: Knowing the "Secret Code"
FREE BONUSES: Yours to keep for trying "Rules of the House"! Bonus #1: (Value $20) Quick Spirit Based Holistic Cures! Get on the path of natural healing with natural cures that have stood the test of time. Be well... remember that a focus on wellness prevents illness! Bonus #2: (Value $12) "Lose Weight" If you want to lose weight and to keep it off - forever, unstressed, naturally - here is the easy - and fun - way to do it! Get more health by eating healthy! Bonus #3: (Value $18) "Clear Your Karma" Get off the path of karma so you can attract more health! When you are tangled in ropes of karma, you are more likely to repel	vibrant health than to attract it! After you order the "Rules of the House", you will immediately qualify to receive our "Chakra Healing CD" for $9 with FREE shipping (a 50% savings) because it is the perfect companion to this ebook and you deserve it for being so committed to your healing process! Just Email me at ellen@healpastlives.com to take advantage of this offer! After you order the "Rules of the House", you will immediately qualify to receive our "Mantra Card" for $3 with FREE shipping (a 40% savings) because it is the perfect companion to this ebook and you deserve it	for being so committed to your healing process! Just Email me at ellen@healpastlives.com to take advantage of this offer! My G U A R A N T E E for this "Rules of the House" eBook! I have used this "Rules of the House" in my healing work every day for many years. I hope it will help make your journey along the long and winding road of the universe a safe and successful one. They have helped countless people all around the world. I am so sure that this eBook will help you, that I offer a "no questions asked, 60 day money back guarantee" to you. If this eBook does not deliver on everything it promises or if you simply do not like it for whatever reason, just let me know within 60 days and I will refund your money, no questions asked. It's time to act - Click the "ClickBank" button below to order now! ClickBank - the fastest growing eCommerce payment system with a solid online financial reputation - uses a SECURE website to process your credit card. Your information goes straight to ClickBank and to nobody else (not even me!). So you	can be certain your card details are completely safe. PayPal - the Number One way to send and receive money online - also uses a SECURE website to process your bank checking account or credit card. Your information goes straight to PayPal and to nobody else (not even me!). So you	can be certain your financial information is completely safe. ClickBank and PayPal accept all major credit cards! Final Guarantee: EVERYTHING in these books is 100% legal, moral, and ethical! Your results will vary based upon your actions. 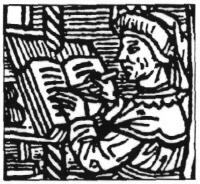 Click here for the Legal Stuff like Disclaimers!